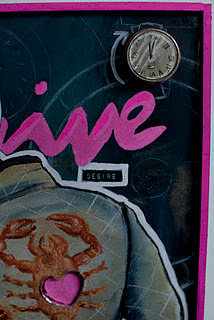 Cultural Compulsive Disorder: Mick Minouge Creates A 'Drive' Inspired Version Of Operation... Baby Goose FTW!!!! 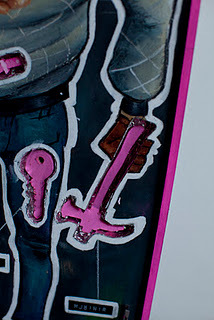 Mick Minouge Creates A 'Drive' Inspired Version Of Operation... Baby Goose FTW!!!! I can't get enough Baby Goose, aka Ryan Gosling, in my life. I have always liked him as an actor... even back to his teen age "Murder By Numbers" days. The kid just had something about him. But in the last few years he is really jumping into the role of full blown movie star, and the culmination of this had to be his epic performance in 'Drive'. 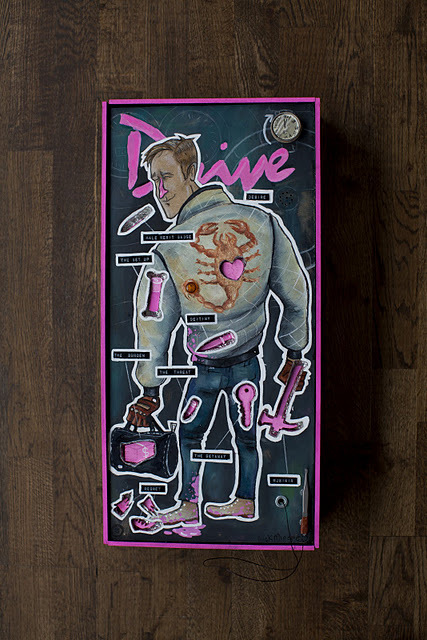 I thought 'Drive ' was one of the better movies this past year, and from the amount of fan art based on Gosling's character lots of artists feel the same way. Need proof? 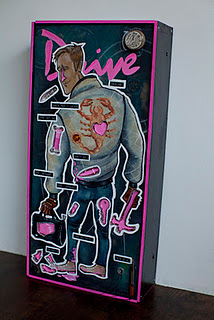 Check out this very original redux of the classic board game 'Operation' by artists Mike Minogue, but instead of your classic patient you have to remove items related to the movie from Mr. Gosling's body. 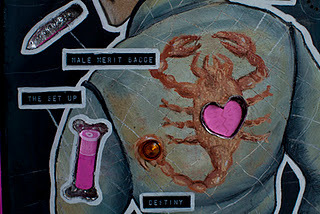 Click after the jump for a full synopsis of the piece and more detailed pics. The rules are a little different In The Real Human Being Operation Game. You have a 5 minute window - Turning the watch on the steering to 5 min, It then ticks and counts down. In that time you have to carefully remove all the relics of the Drivers past from his body. Each symbol represents a scene In the film and each has a difficulty rating. If you touch the sides whilst trying to remove the piece the scorpions tail lights up and instead of a buzzer a car engine rev sounds. Hey thanks Mr, Mike D. Ill have a vid up soon of the game in action so keep posted. A friend sent me the link, they were signed up to the page dude! Damn fine pages filled with all I love In this house! Yes Sir! As promised man the video Is now up and yours to share.